"Beware of the stories you'll read or tell; subtly, at night, beneath the waters of consciousness, they are altering your world." But what if you lived in a world where breathing underwater was possible? Then the correct answer would be yes. In other words, the answer depends on the context. 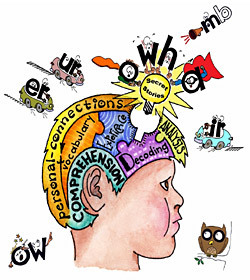 Traditionally, the idea of teaching complex phonic concepts and strategies to beginning, early grade learners would be considered developmentally inappropriate—a position with which I would have to agree. Giving them however, is a completely different story! By wrapping skills up into stories, we can give them what can’t be taught. Stories are easy for kids to remember because stories are HOW kids remember. 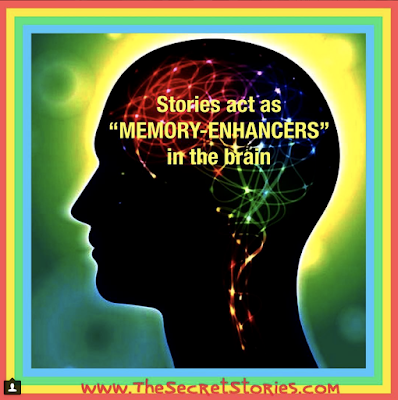 Stories act as a sort of "memory-enhancer." They serve as strong memory-holding templates in the brain and provide a much-needed framework for memory construction. 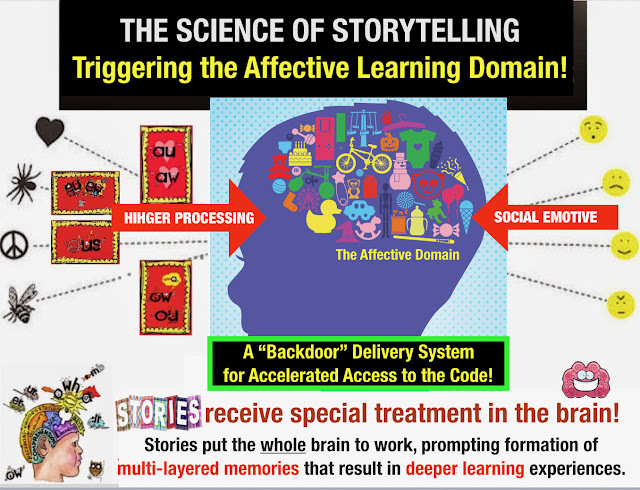 Stories pose no developmental harm, nor are they age or grade-specific, as learners naturally take away only what is personally meaningful and relevant to them, without any expectations. In this way, the reading and writing code is transformed into 'skill-drenched' golden nuggets, buried within familiar and easy-to-remember stories, allowing learners to become their own "gate-keeper" of skills. So hold your breath and prepare to dive into a new way of thinking about what we do and why we do it, and in no time, you and your students will be breathing underwater! For more on the Secret Stories® use of the affective learning networks as a backdoor delivery system for high-leverage concepts and strategies, check out these previous posts here and here. For more, subscribe free to the Secret Stories® YouTube Chanel. You can also check out this video below on the brain's development, back to front, and how to activate the earlier-developing, social and emotional "feeling" networks for use as a backdoor for accelerated skill mastery. 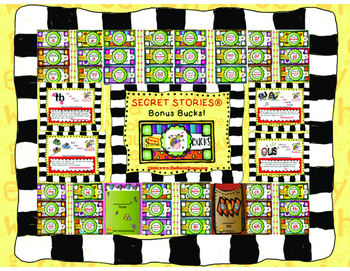 Before I close, I wanted to kick-off the new school year with this fun and FREE 36 page Secret Stories® Reward/Incentive Bucks Pack! It even includes a student purse and wallet for safekeeping of students "secret" earnings! Inside, you will find information on how to use it with the Secret Stories® in the classroom. You can grab it by clicking here or on the link, below. For more upcoming dates, check out my speaking schedule, here! 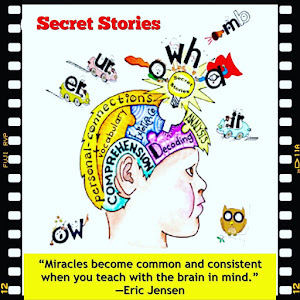 The Secret Stories are my #1 teaching tool! I would never ever want to teach without them!!! 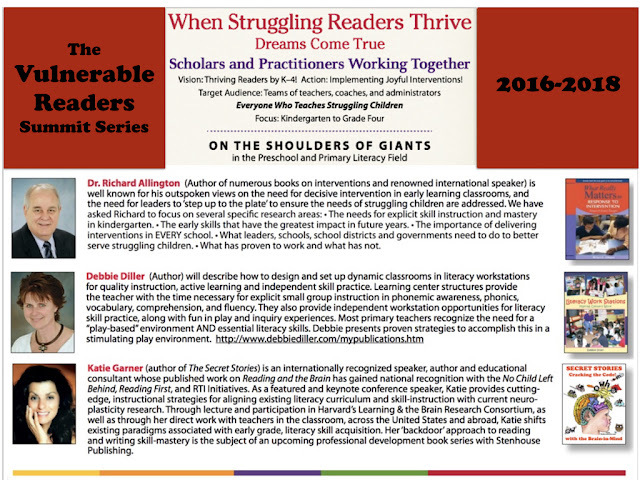 I saw you TWICE at the New York Reading Conference last year and absolutely loved your session! All of the teachers from our district came just to see you after hearing so many rave reviews from those who'd attended your session the previous year. I have to say, I was mesmerized listening to you and couldn't wait to get back into my classroom and start sharing secrets! Every single one of my kids picked up on them and immediately began using them in their reading and writing- even the ones who couldn't yet read or write!!! My little ones who hadn't latched on to anything that I had done all year just took and never looked back, making more progress those last two months than they had the entire school year. The secrets were like "phonics on steroids" for last year's class, and starting from the beginning of the year with this year's class, I can't even imagine how far we will go! The Secret Stories are the best reading and writing tools out there for K kids and are worth every penny! As the year begins and we see a "th" word, I simply point out the poster for "th" and make a huge deal about this being a "secret" story about these two letters who don't get along, and whenever they see each other they stick out their tongues and make the "th" sound. The Secrets hook the students right off the bat! I gradually introduce the other posters and the students will look at them constantly as they are reading and writing. It is incredible the words they end up writing well. Just today 2 of my lowest students wrote (yesterday) and (together) perfectly. The Secrets take beginning readers all the way through to a 2nd grade skill level, explaining every tricky sound that letters can make when they get together, and in ways that even kinders can understand.